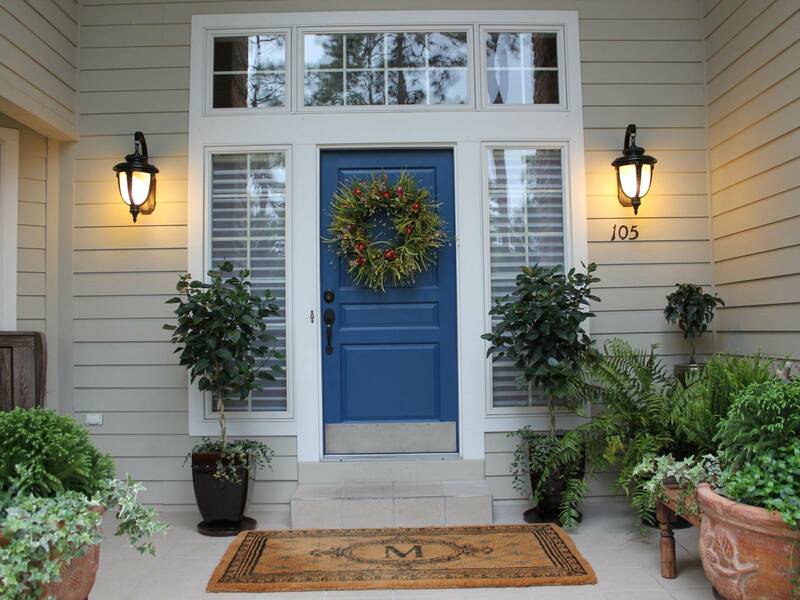 In recent years, patios have morphed into outdoor rooms, used as essential square footage for living, playing, and entertaining. This is especially true on the West Coast, to the dismay of those back East. (It just doesn’t pay to gussy up for three mere months, never mind the unavoidable rain in summertime.) 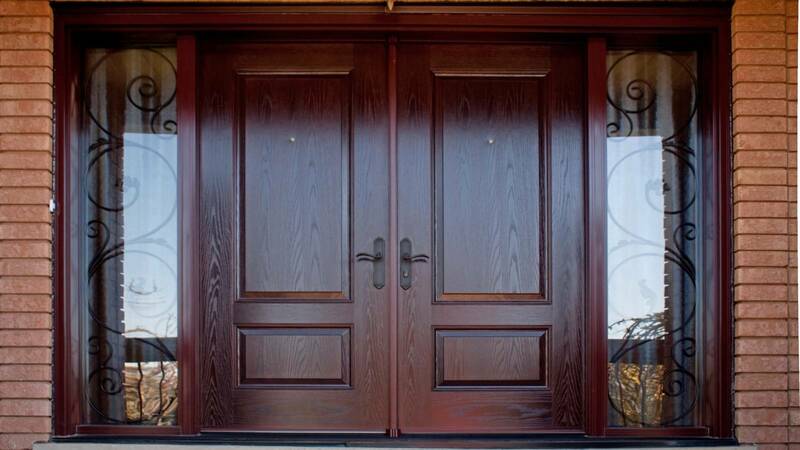 Well-designed exterior doors elevate how a patio looks and functions. 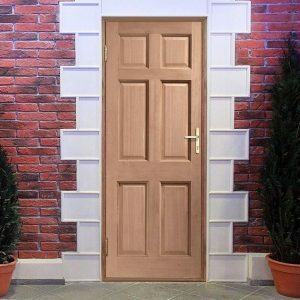 There are a ton of options: collapsible glass walls, garage doors with an industrial vibe, and the ever elegant pivot doors, of which I present you a dozen options below. When you’re finished scrolling, you may want to re-visit last month’s roundup of modern pools. 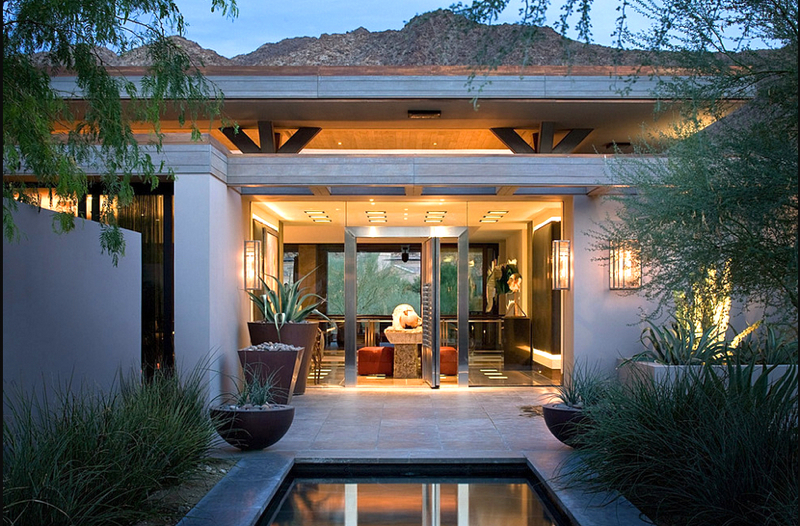 Above: A pivot door opens from a living room to the cacti-planted patio leading down to a fire pit at the Brown residence in Scottsdale, Arizona, designed by Lake | Flato Architects. 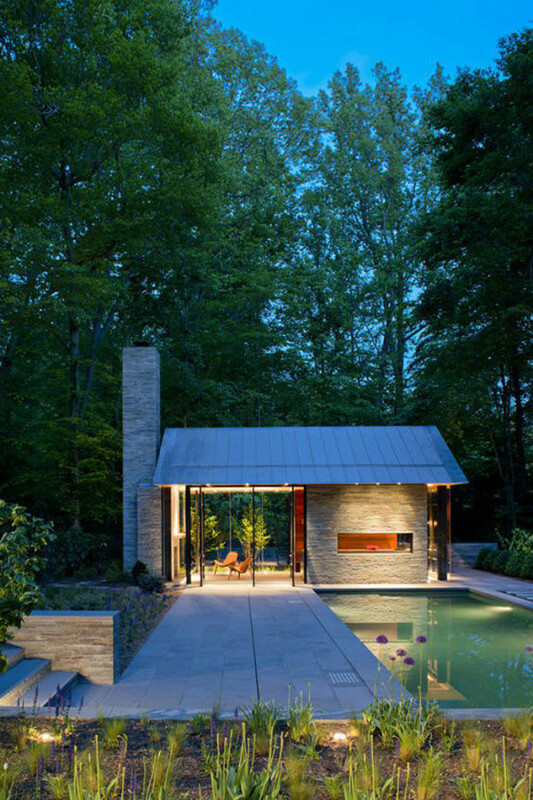 Architect Robert M. Gurney designed the poolhouse and patio here, rich with plantings, pool, and long slabs of stone. The standing-seam metal roof and series of pivot doors complement the textured stone façade of the poolhouse exterior and hardscape. T Space by Steven Holl Architects is a newly constructed gallery onto an existing home from the ’50s located on four acres in Dutchess County, New York. 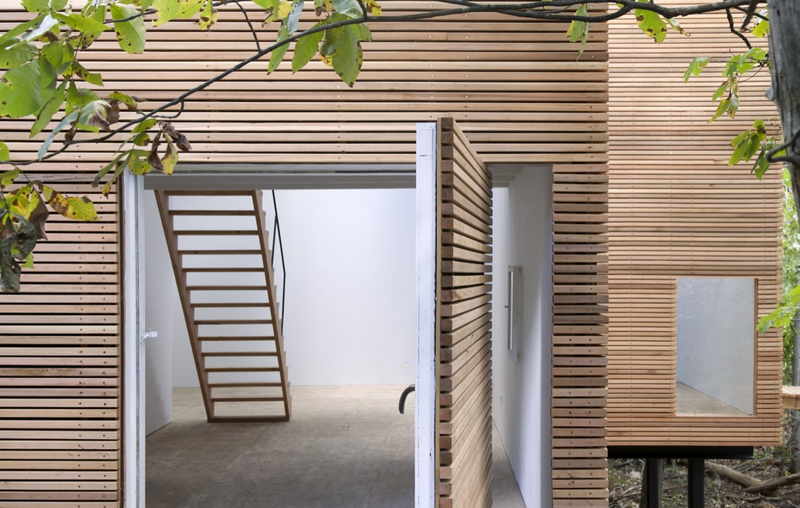 The entrance door, covered in two-by-two cedar planks like the rest of the structure, pivots to reveal a plywood clad floor and sparse staircase. 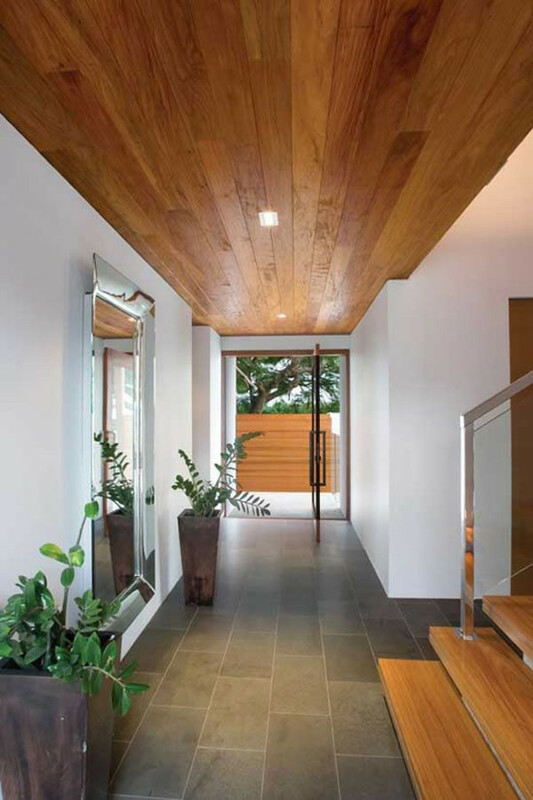 Bayden Goddard Architects designed this two story, open-plan, riverfront home. 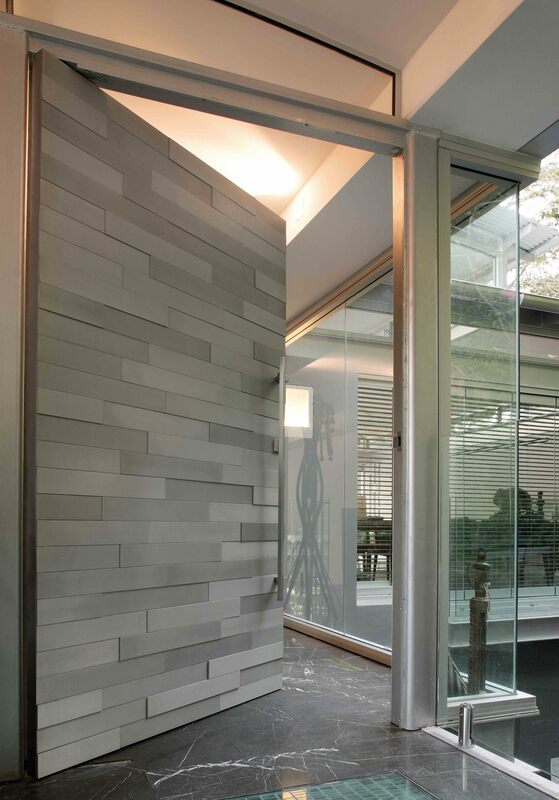 The recycled timber used in the interior echoes that of the patio fencing, reached through a wide pivot door at the end of the bluestone entry. 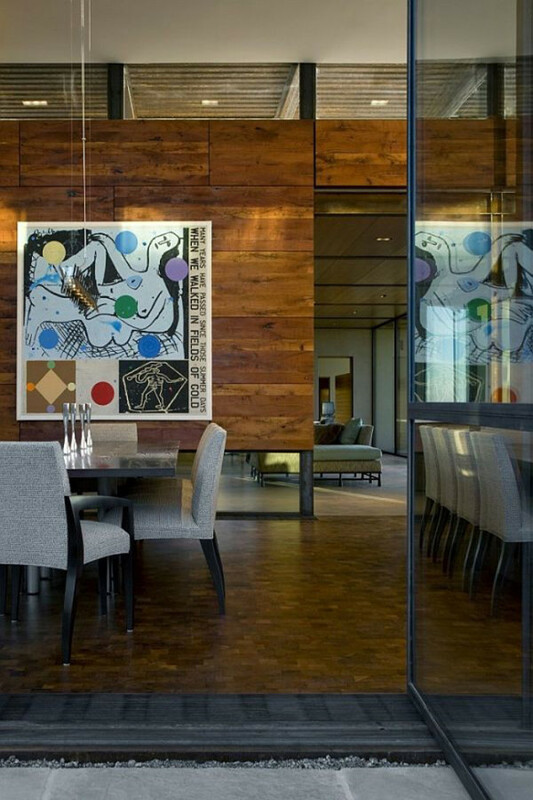 Another view from the Brown residence designed by Lake | Flato Architects shows a closeup view of the pivot door off the dining room, which leads to the desert garden. 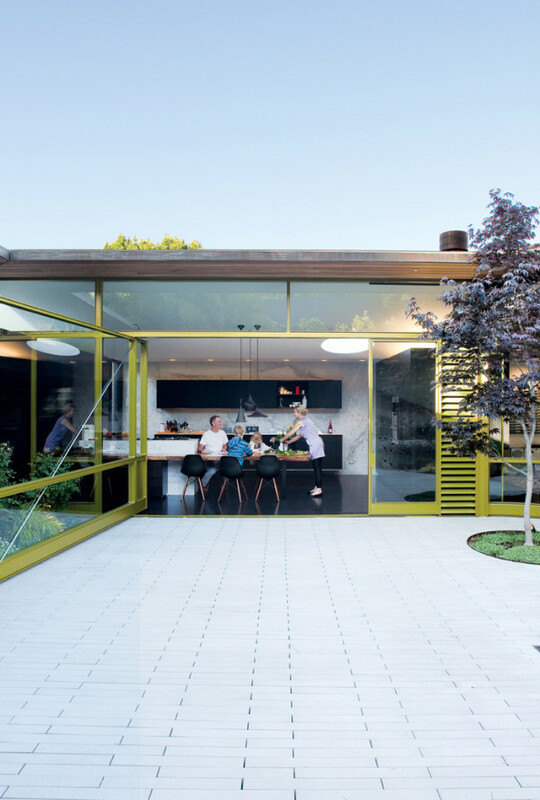 Chu Gooding Architects, an Los Angeles-based firm, re-imagined this historic, 7000-square-foot residence in Beverly Hills designed in the 1950s by architect Harwell Hamilton Harris. 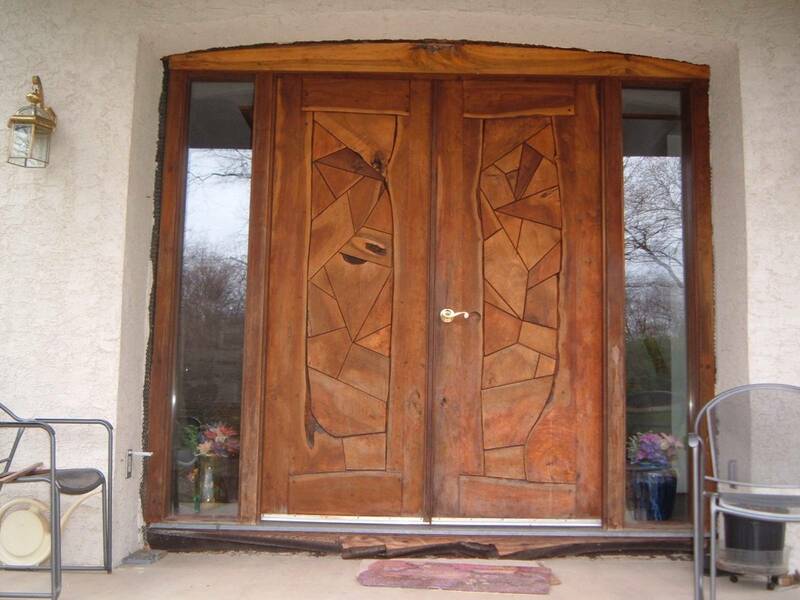 A pair of supersize pivot doors open from an indoor/outdoor dining space to the pool patio, with no change in flooring. 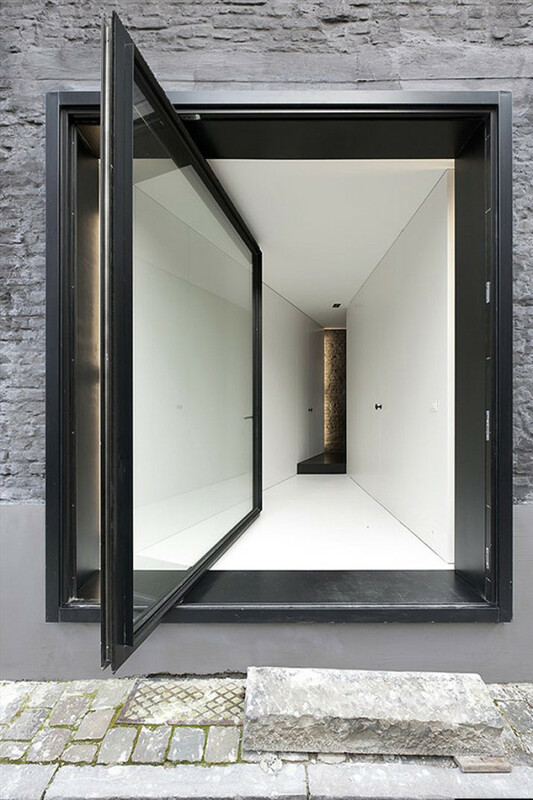 Architectural firm Graux & Baeyens added an oversized, modernist pivot door encased in black to this 19th century house located by the old city harbor docks of Ghent, Belgium. The project started by stripping the dilapidated house of all excess. 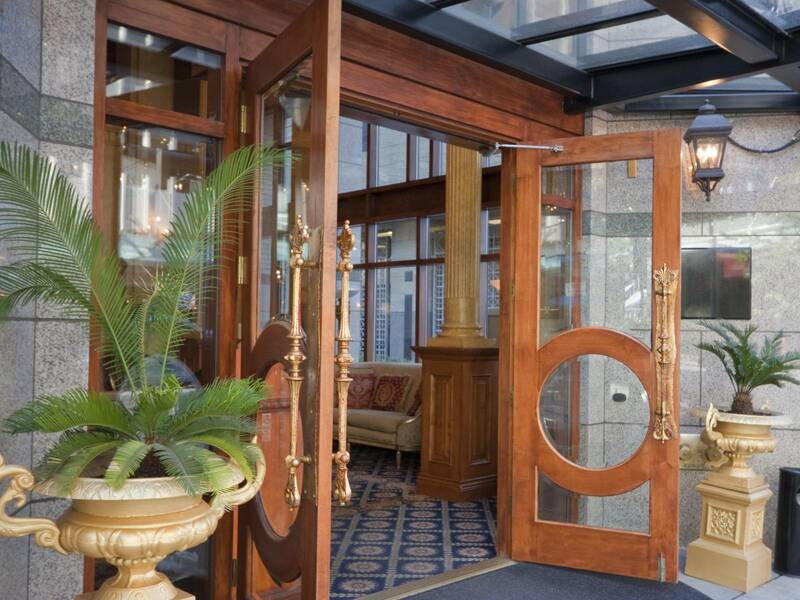 While the interior was gutted, the antique façade was preserved. Mexican firm Dear Architects’ 4 Plan House in Santa Cantarina, Mexico is a four-level, minimalist structure with luminous light effects. 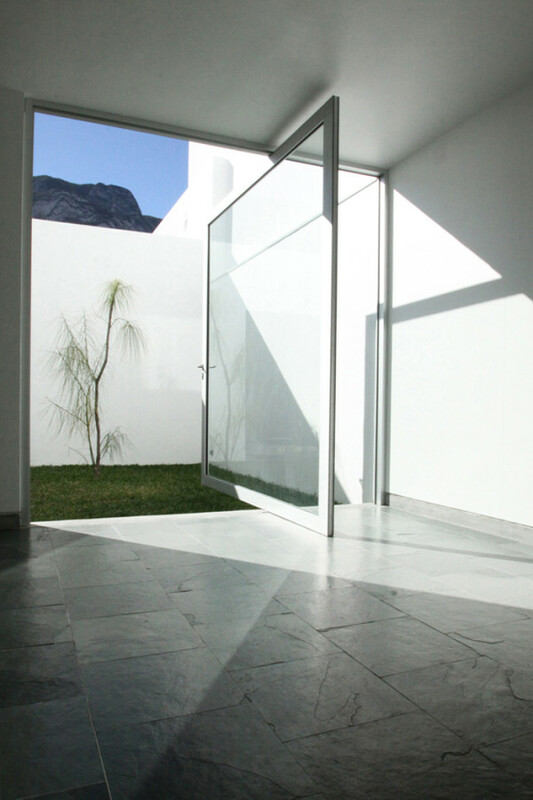 Here, a large glass pivot door on a stainless steel frame opens onto a walled, grassy area with a lone tree. This is the Mill Valley, California home of Dwell Magazine founder Lara Hedberg. The facade was designed by Bob Hatfield in 1996. 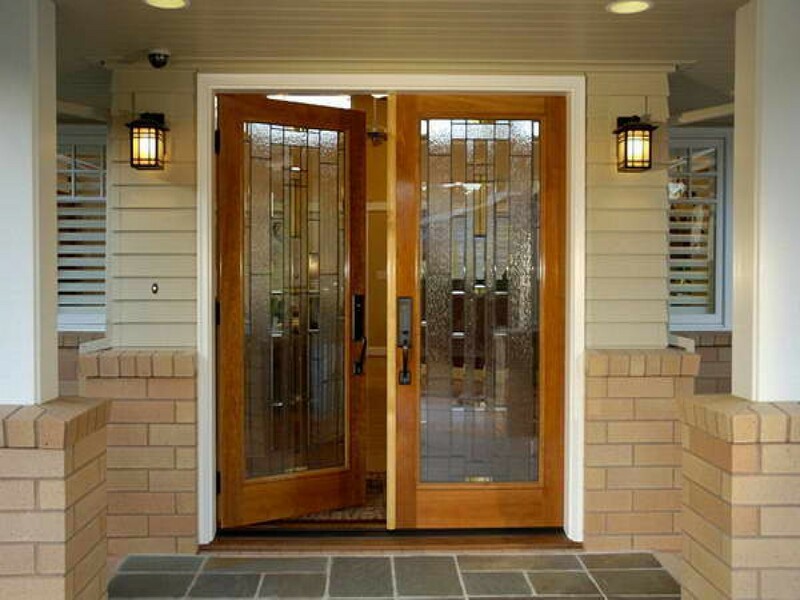 A new glass and steel pivot door was designed by her husband, Chris Deam and fabricated by Sand Studios, was added in a renovation. 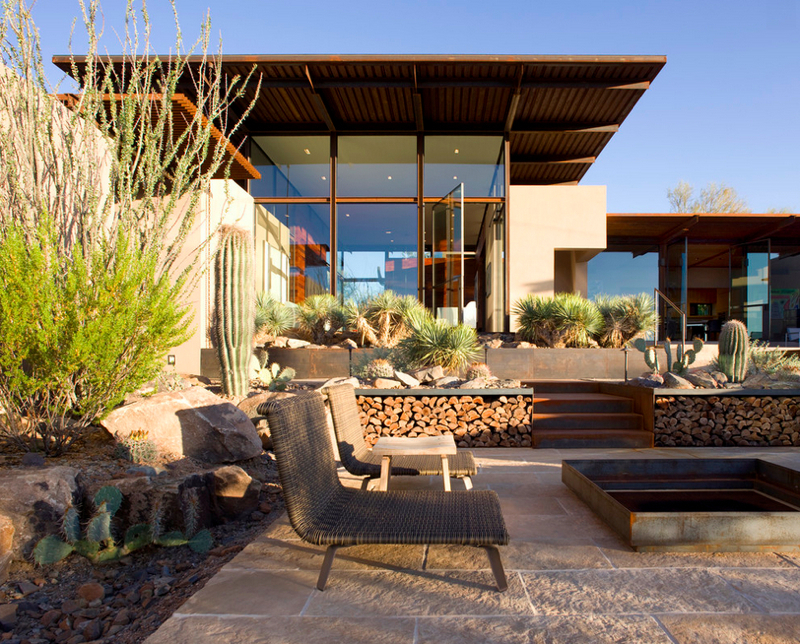 Sheldon Harte of Harte Brownlee and Associates designed the glass entrance to the patio with lush plantings and small pool in this desert residence. 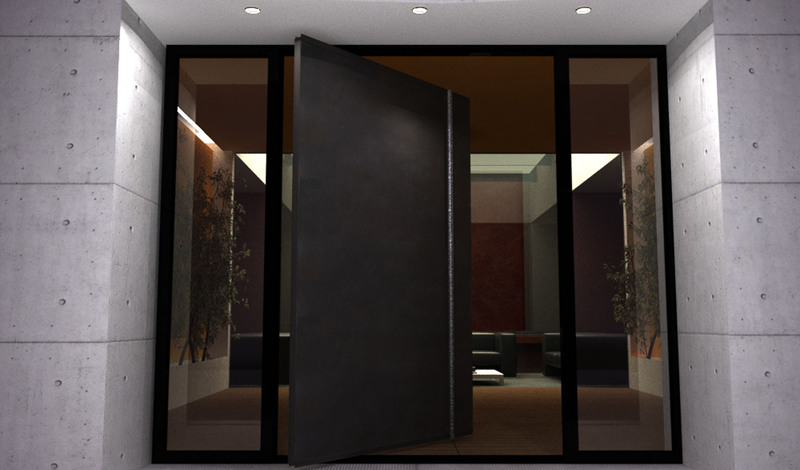 The stainless steel pivot door and frame glows at night, thanks to the fiber optic lighting. 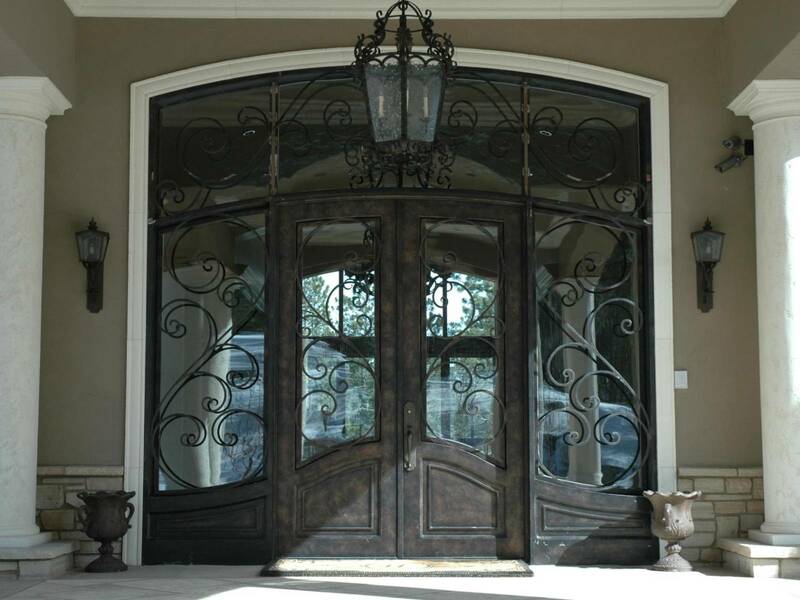 The Carillo house is another California home, this one in Pacific Palisades with pivot doors. 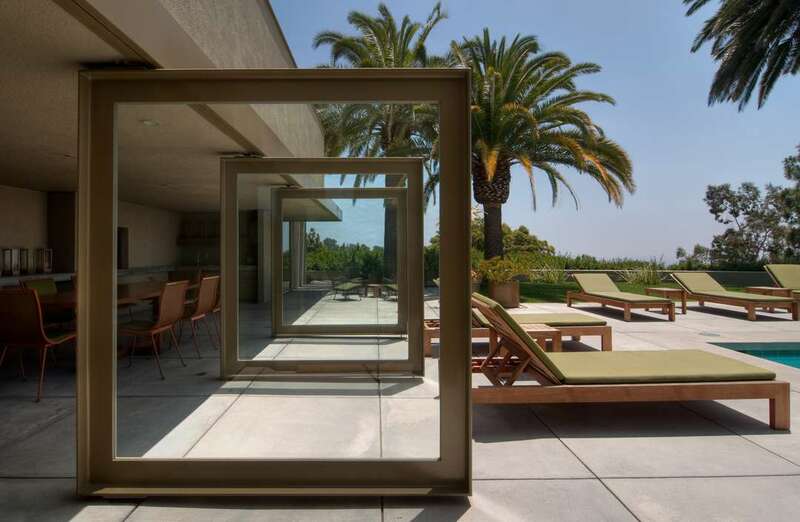 California-based firm Ehrlich Architects chose to incorporate many smaller sized models off the living room, allowing access to the pool and distant ocean views. 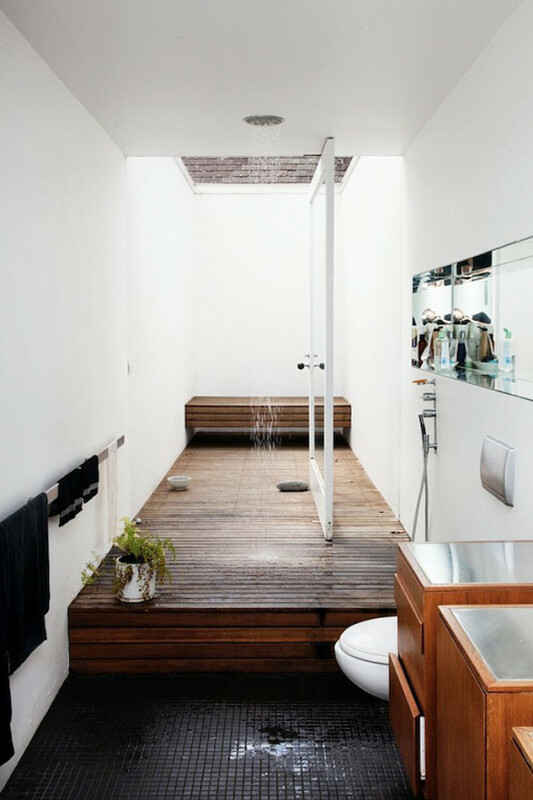 Sourced from The Selby, this incredible bathroom extravaganza belongs to gallerist Sarah Cottier and photographer/gallery director Ashley Barber. 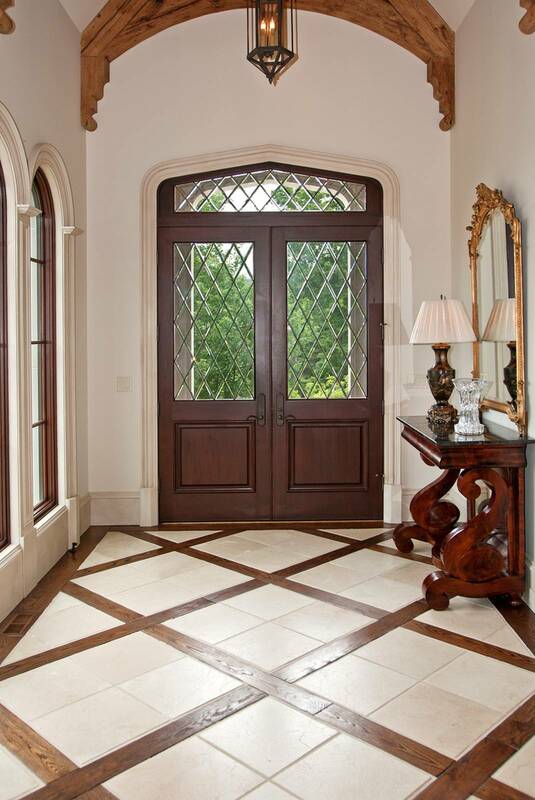 A more traditional, painted white framed pivot door separates the indoors from out. Again, this is in the warmer climate of Sydney, Australia.